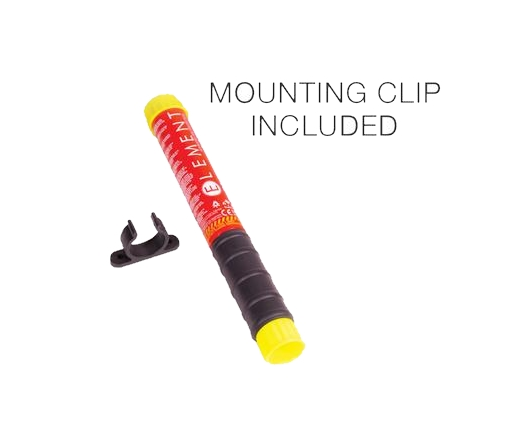 Element is a manual, portable fire extinguisher which utilizes a specialized aerosol mixture to safely and cleanly put out most major types of fires. Suitable for A/B/C/K fire types, Element's mixture of Potassium Nitrate, organic oxidizer, and plasticizer resin is a non-toxic, environmentally friendly, and non-corrosive. Now you can take 18% OFF when you use promo code SAFE18 at Step #5 during Checkout. 50 seconds of discharge: more than 4x longer than a 5lb fire extinguisher.